Sign-up here to get ongoing FREE access to hypnosis resources including articles, MP3 session downloads, and advanced notification of special events and workshops offered by Free At Last Hypnosis. You will be the first to hear of new services and products and special discounts. There is never any obligation to use our services or purchase products. Access to all these resources is always free, and you can unsubscribe at any time you wish if you feel the information is no longer relevant to you. And if you sign-up today we’ll give a free gift. 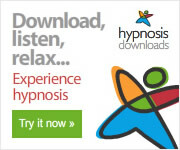 When you sign-up for access to your hypnosis resources today we’ll also provide you access to Erika’s 20-minute Mindfulness MP3 session which you can download and listen to whenever and wherever you want. The Mindfulness MP3 you download is your ticket to be “in the moment” whenever you want. The session is 20-minutes. Long enough to effect a change but short enough to be able to fit into most people’s schedules at least once a day. Reducing and coping with stress. Getting a deeper sleep at night to awaken refreshed. Controlling and coping with pain. Obtaining a positive mood by clearing out negative mind chatter. Boosting your learning development capabilities. Inducing mental clarity when you need to focus and problem solve. Listen to this MP3 when you wake-up or last thing before sleep, or anytime throughout the day where you need to relax and “quieten your mind.” Just find a quiet place, start the session and enjoy 20-minutes of De-stressing.